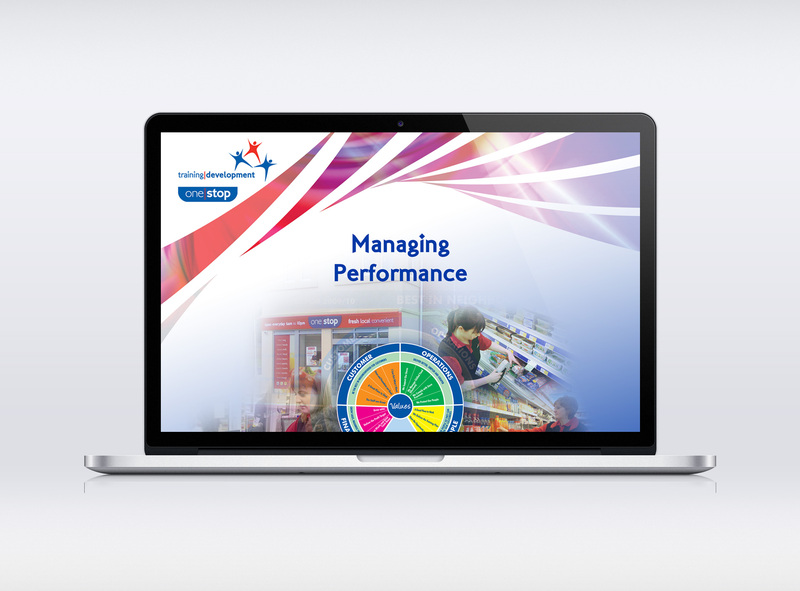 The training department at One Stop Stores required an identity to re-enforce the importance of development within the business. 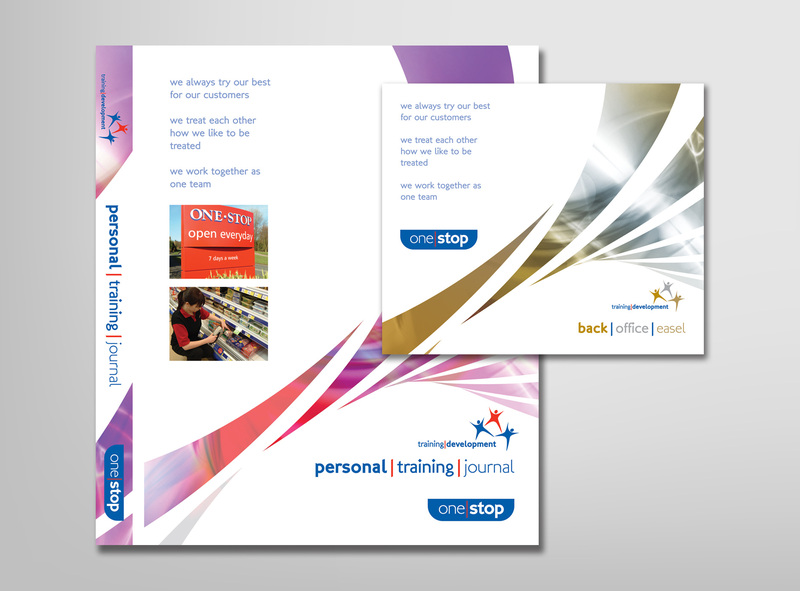 The design was based on teamwork & success and was delivered through both print and digital media. 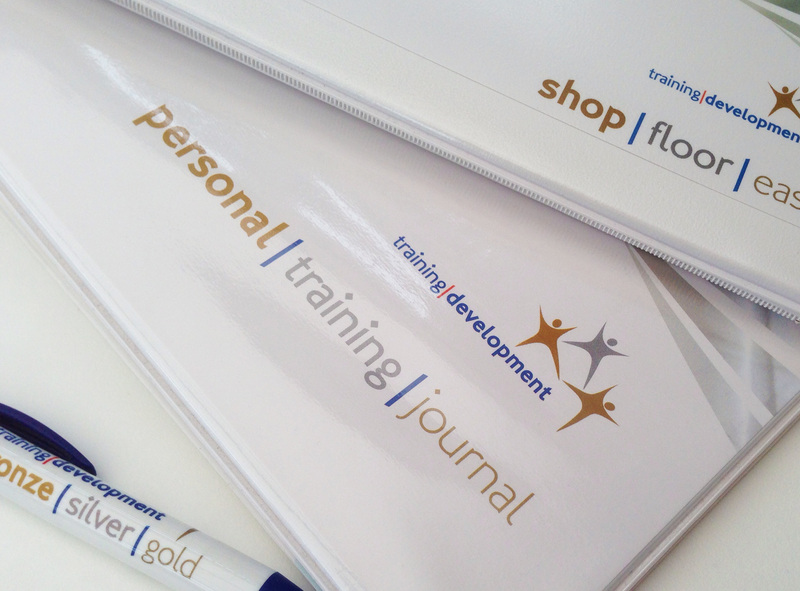 The design solution included folders, presentations and promotional items. 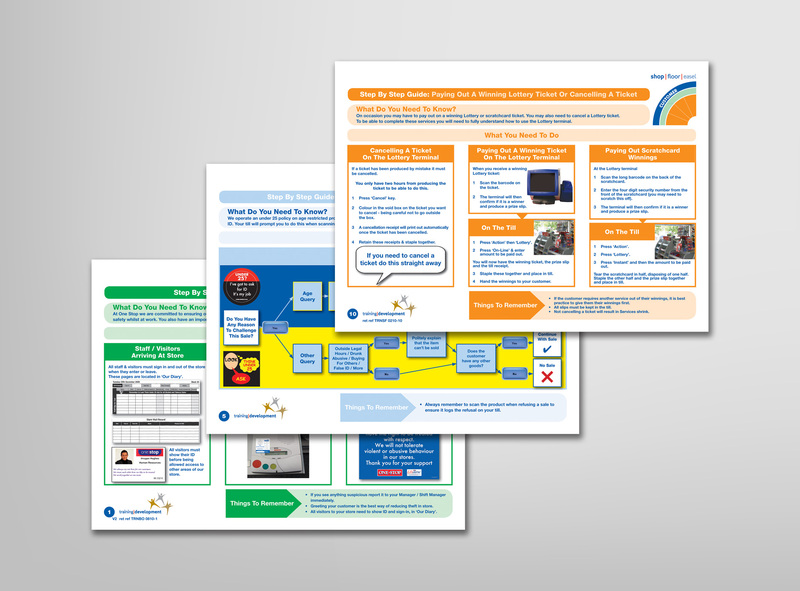 A series of step-by-step guides were also commissioned, which increased the confidence for staff to successfully manage a store and all it’s operations using minimal documentation.